A Special Thanks to Blick Art Materials! 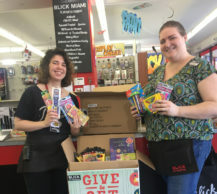 Thank you Blick for your generous donation of art supplies. The children enrolled in our after school and summer camp will appreciate your generosity. Please accept our gratitude on behalf of all the children in-need that ArtSouth serves.